The artist was born in Cleethorpes, Lincolnshire, the son of an artist. He also had a brother who taught art at Leicester. Brannan taught art in Newark for 30 years with his first London exhibition in 1960. Favourite subjects which he used for inspiration were seascapes, architectural subjects and the occasional portrait. 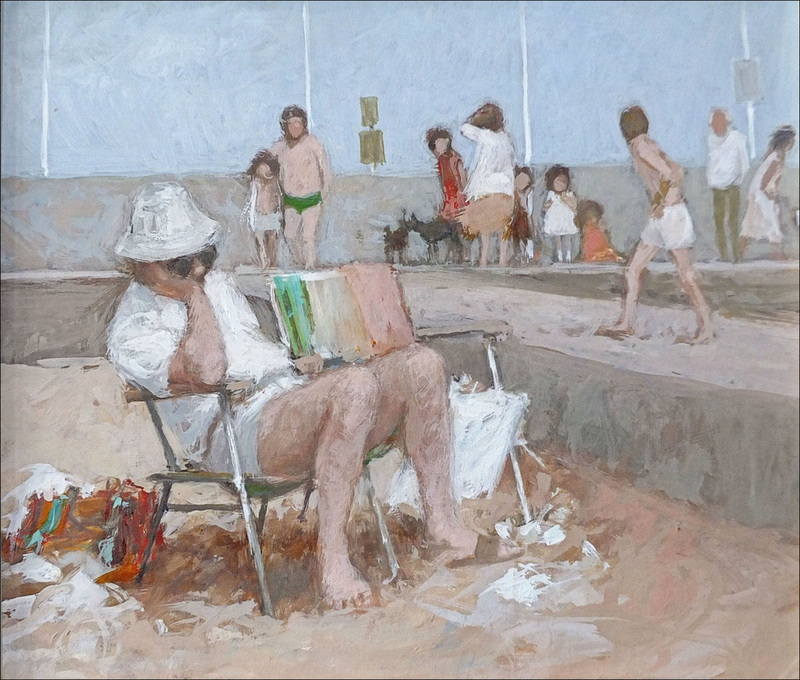 The Lincolnshire landscape, especially beaches and dunes, were a rich source of inspiration. Brannan painted many scenes of Newark, some of which are on permanent display. a restricted range of colours which were muted or subdued, never using blue. His unusual style was in part due to his use of artificial light which gave his still life pictures two shadows. When Brannan retired in 1981 his style became more colourful. He preferred to paint ordinary things - "one can continually rearrange them" - and he was concerned with good drawing, tone and subtle colour. Most of his work was done in his studio, from memory. This display of oil paintings from a private collection was on view in our gallery in 2016, including some of his drawings.